This week has been a busy week for a lot of my friends. For me, it's more like a downtime week since I've been not feeling well. O Lord, my heart often untrue. My consecration dwindles too. Yet Thou, the never-fading One, Fighting for me, my heart is won, Conquered by Thee again. To Thee who bled and died for me, The One who came inside of me, I repent for my fickle soul. I plead Thee saturate me whole With Thyself and Thy heart. Last week I wrote about Christ as the Resurrection and the Life. Furthermore, to experience Him as such hinges upon the fact that Christ lives inside of us and He wants to be our source of life. Few weeks ago I was sharing my testimony with some freshmen about how I got involved with a Christian club on campus. Mainly I felt like I had to present what was the emphasis of this club from my personal experience. Honestly, it was not like I prepared anything beforehand but I felt watered by the Lord myself as I was speaking concerning my own experience of Christ with the club. I personally feel that the highlight of this Christian club is the prevailing opportunities for all to not only dive into the Bible but also to speak for Christ, of Christ, and to speak forth Christ into others. What is so special about our speaking? Are we qualified to speak for the Lord? 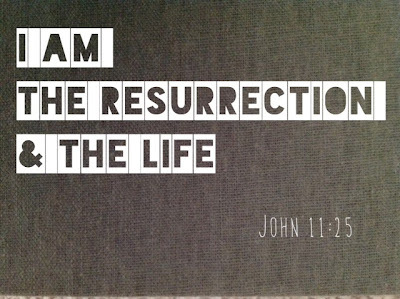 How is our speaking related to Christ as the resurrection and the life?